Glamorous Watch The Throne Kimono cuz yer queen bae. Duh! 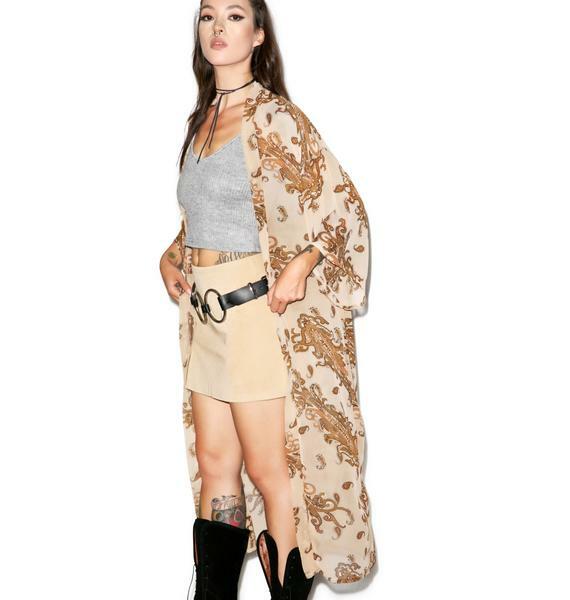 Don’t even give them room to question it and get seated rightfully with this awesome long kimono featurin’ an allover graphic design of ornate paisley patterns and a flowy fit that’ll have us bowing down to yew, BB.